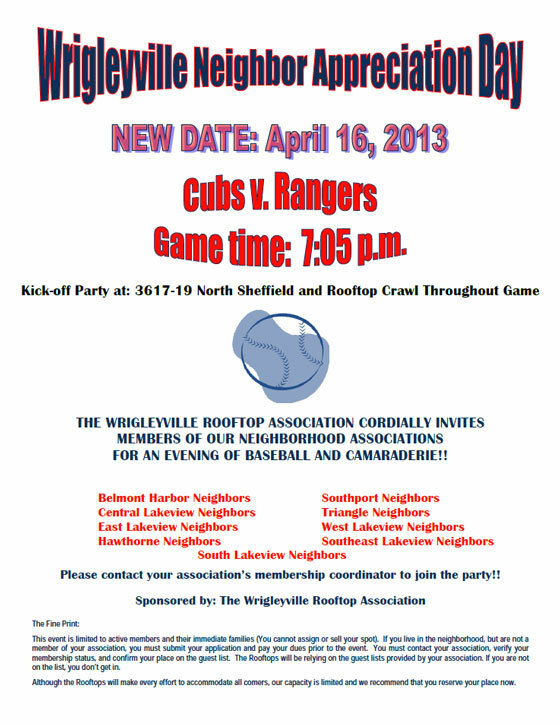 Due to the weather, the Wrigleyville Neighbor Appreciation Night has been rescheduled for April 16th. No new reservations are being taken. If you previously RSVP’d for the April 10th event, you will be contacted directly regarding the rescheduling of this event. Details below. This entry was posted in ELVN News on April 12, 2013 by elvn_updates.